The large-scale procurement of new firearms in Estonia was hit with a setback on Thursday after the Ministry of Finance's extrajudicial Public Procurement Review Committee annulled the decision awarding the contract to a US arms manufacturer because the state was unable to refute claims by a competing bidder that the state turned a blind eye to some issues that came up during weapons testing. According to daily Postimees, a non-commissioned officer (NCO) of the Estonian Defence Forces (EDF) who was part of a nine-member team of Estonians to participate in verification testing at the Illinois factory of the Lewis Machine & Tool Company (LMT) last August wrote in a letter to the Commander of the EDF afterward that some issues that came up during testing were not recorded in the protocol. For example, among other issues, it was not noted that the firearm's stock and optical sight broke when dropped from a height of 1.5m. 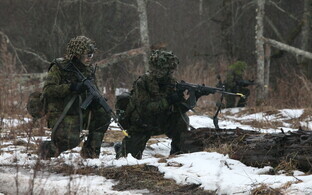 Last Thursday, the Review Committee sided with the state regarding all but two claims — the committee found that, based on its own rules, the Estonian Centre for Defence Investments (ECDI) should have taken into consideration the breaking of the firearm's stock and red dot sight during drop tests, and that it was erroneous to interpret the stock as not part of the body of the weapon. 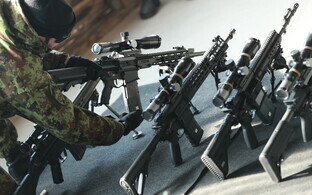 It is likely that LMT will have to repeat at least some testing of its automatic weapons, and while it is likely that LMT will be declared the winning bidder again, it is now questionable whether the first new automatic weapons will reach the EDF by 2021 as initially planned. 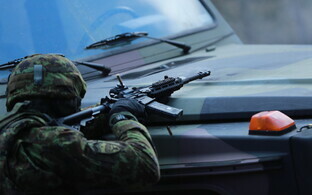 Update: The procurement disputes committee in Estonia has upheld Sig Sauer Inc.'s complaint regarding the LMT tender and what Sig Sauer Inc. saw as unacceptable concessions on the terms of the tender, with the latter listing a total of 26 breaches, including insufficient records whether the weapons were tested with the Magpul and Blackhawk straps shown in the offer of LMT. EDCI spokesperson Ingrid Mühling, told BNS that the centre will examine the decision of the procurement dispute settlement committee and will decide this week how to proceed with the tender. "Although most of the claims made to the dispute settlement committee were not proven and the procurement has not been canceled, it is too early to say what the next steps will be in said matter. We will analyse the situation once again in the coming few days in order for there to be no legal of substantive ambiguities in the decisions," Ms Mühling said. "At this point we can say that the products offered by LMT meet the requirements of the EDF, which is demonstrated clearly also in the decision of the dispute settlement committee. 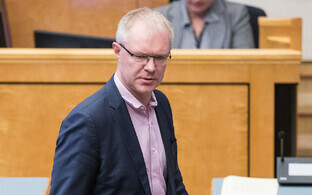 LMT will examine the reasoning of the decision of the dispute settlement committee and decide about further steps within the period set out for challenging the decision," representative of the company Ingvar Parnamäe told BNS. 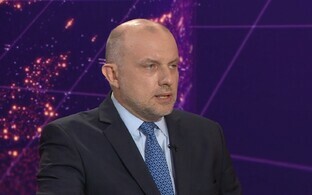 "Considering the importance of the procurement for Estonia's defence capability, contesting is natural in the case of such large-scale procurements," he added. LMT can contest the decision of the dispute settlement committee in an administrative court within 14 days. According to Postimees, the LMT offer was the cheapest from three manufacturers at €22.7 million, with Sig Sauer Inc.'s at €27.6 million and Heckler & Koch coming in at €45.5 million. The offer of LMT achieved 99.3 points in the appraisal and was the most favorable in terms of price, life cycle support and guaranteed number of shots. A test shooting of the weapons organized by the EDF demonstrated that the accuracy and precision of all the weapons met the requirements set out in the terms of the tender, and there were no significant differences between them. A firing test in March made up 10% of the overall appraisal score, with the guaranteed number of shots throughout the weapon's life cycle accounting for 20%, useful lifecycle of a weapon 30%, and the price, 40%. 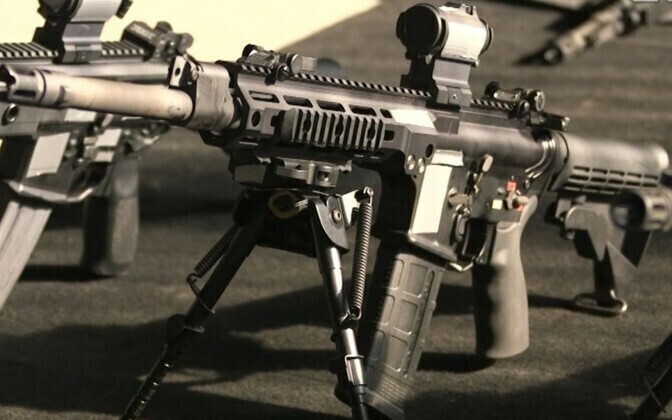 The ECDI tender to buy new 5.56mm and 7.62mm automatic firearms for the 1st and 2nd Infantry Brigades, and eventually for the entire operations structure of the EDF in 2019-2021, was announced in June 2017. 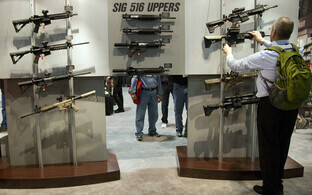 A total of 16,000 arms are to be procured to an estimated value of €22 million, it is reported.